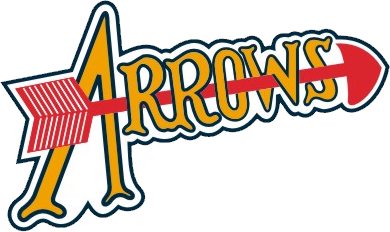 The Armstrong Amateur Hockey League (AAHL), organization provides top instruction to boys and girls of all skill levels through its Armstrong Arrows programs. AAHL is a proud member of the Pittsburgh Amateur Hockey League and USA Hockey, and offers competition at the Tier II (AA, A, and B) Levels, as well as an in-house program and the USA Hockey American Developmental Module (ADM for beginner hockey players). AAHL is governed by a board of directors that consists of a president, secretary, treasurer, registrar, and whatever other offices and functions the board deems necessary. The actions of the board and its officers are governed by a set of bylaws that reside with the secretary. The list of Board Members with thier contact information is available on the Contacts page of this web site. The Armstrong Amateur Hockey League uses the Belmont Complex in Kitanning, PA. Click here for the rink location and driving directions. Each season the board will determine the number of teams that the association will field and the levels at which those teams will play. A few of the factors taken into account are the amount of ice time provided to the association, the number of players participating at each age level, the number of returning AAHL players at each age level, etc. AAHL fields teams at the Squirt, Pee Wee, Bantam, Midget and Girl levels. Players should respect the fact that AAHL coaches are expected to spend a great deal of time preparing for practices and games. Players should make every effort to be prompt to practices and games, and should be willing to work hard to try and meet the challenges the coach presents. The payment schedule for this year will be on the 1st of each month. The fees for each age group are based only on the costs associated with that team (ice costs, tournament fees, USA Hockey fees, referee & EMT fees, etc.). Fund raising opportunities may be available to the organization membership throughout the year. Due to switching to online payments, fundraising is on a To Be Determined basis until we get more experience with the online payment method.